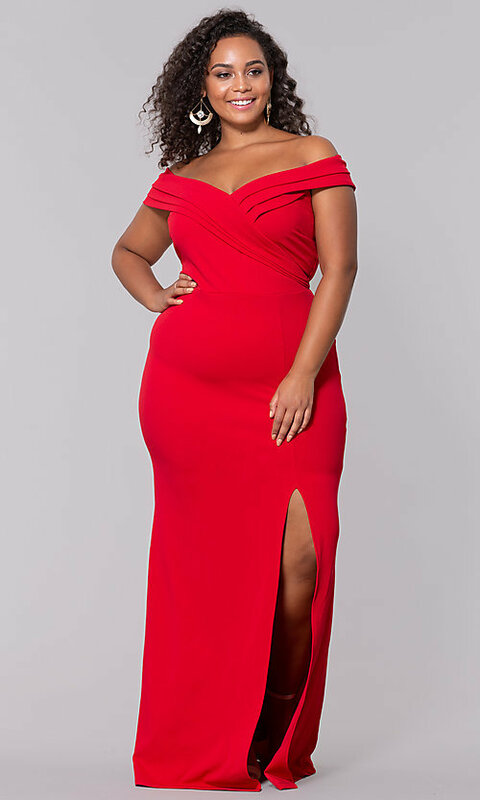 Be elegant in this plus-size long prom dress that combines classic style with trendy upgrades. A refined look is yours in this glamorous formal dress with a charming off-the-shoulder bodice. 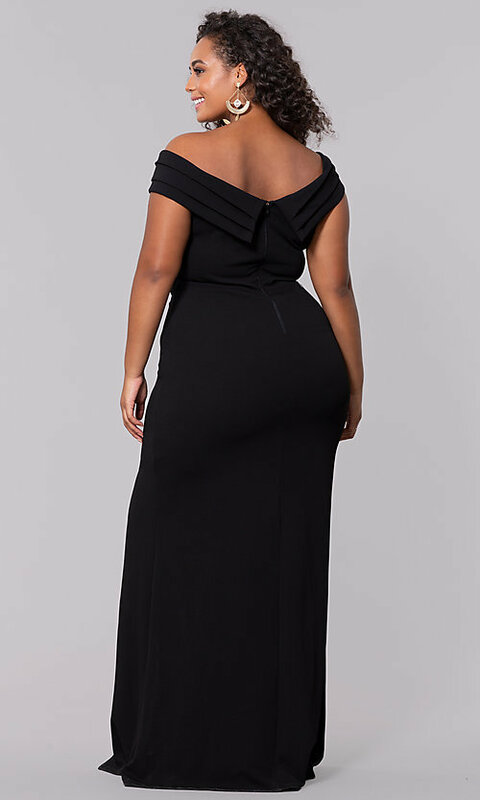 Forming banded sleeves that drape over the arms for a sultry look, crisp pleats flow over the shoulders to the collared back, while the surplice bodice contours into a subtle sweetheart neckline. The plus-size evening dress has a long jersey skirt that smooths softly over the hips before opening in a side slit. 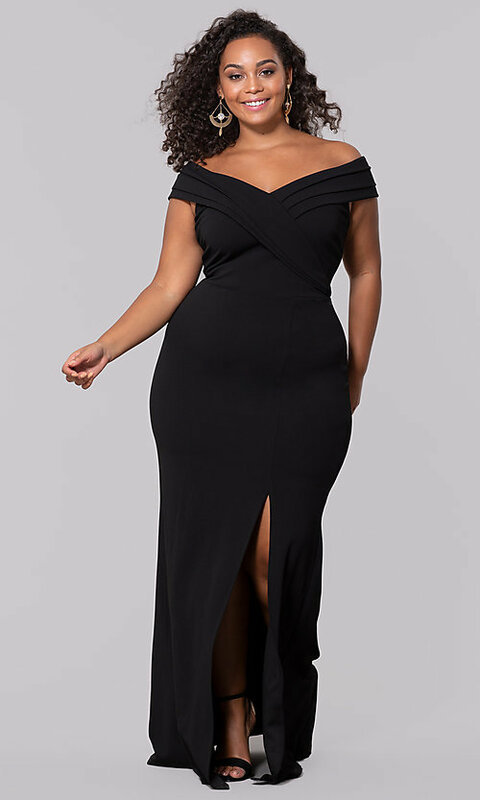 Whether attending a prom event, a black-tie formal, or a military ball, this plus-size long prom dress, under $100, portrays an upscale look without emptying your bank account.